Prankish Puck is planning his next trick. 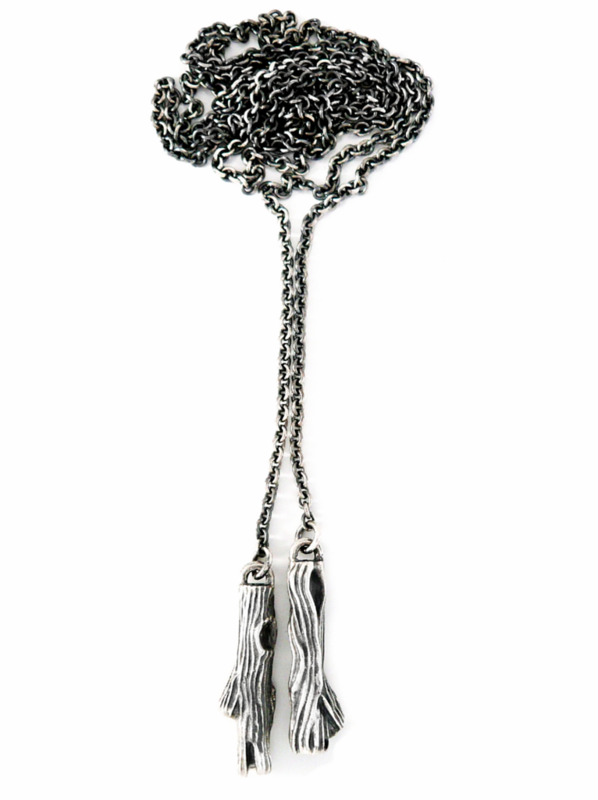 The first design in the new range of Talisman Necklaces is the Oak Tree Talisman Necklace. Sacred tree and home to the Fae, the Oak leads the way. 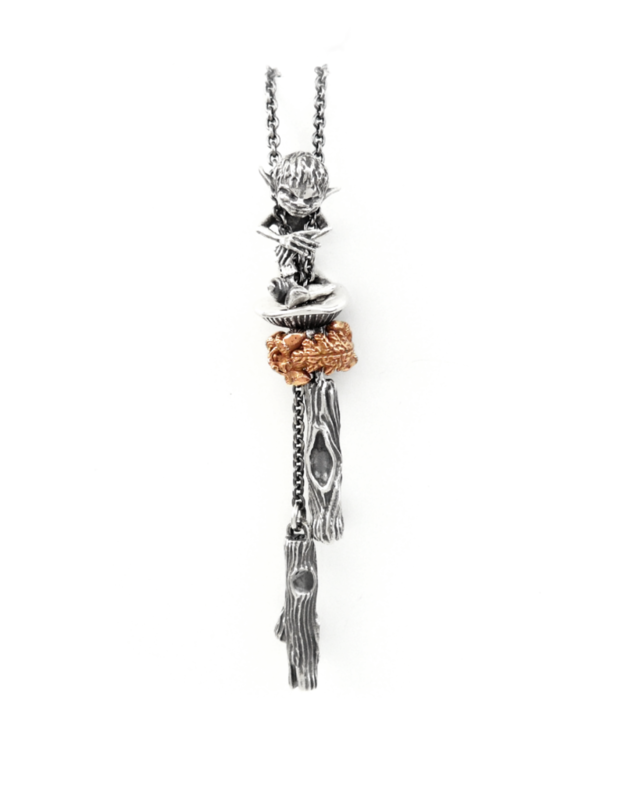 The new echanting, original and versatile all silver Talisman necklaces allow you to wear your treasured Faerybeads in a unique way. Works best with Faerybeads beads. You're most welcome! It is always such a pleasure having you, talking beads and more. I think you'll very much like this style of necklace because of the movements of the dangles and the ability to fix your whole ensemble at different levels without any stopper beads or something similar. Perhaps I can even show you some glass bead making by then as I have been practicing very hard and my workshop is finally fully equipped. I did not expect it to be so much fun. Wow! This is so cool! I love it! Not nearly as good as the ones I use from Christa, but one day I'm getting there… I just had to try it. clever design, would love to see more pics, i.e when worn, pics with the 2 trees at the same hight, and pics with the trees not at the same hight, will the first bead not tilt? it is always very difficult to imagine what it really will look like and how it really does wear under normal circumstances. @Catsworld wrote: clever design, would love to see more pics, i.e when worn, pics with the 2 trees at the same hight, and pics with the trees not at the same hight, will the first bead not tilt? it is always very difficult to imagine what it really will look like and how it really does wear under normal circumstances. Happy you like it! 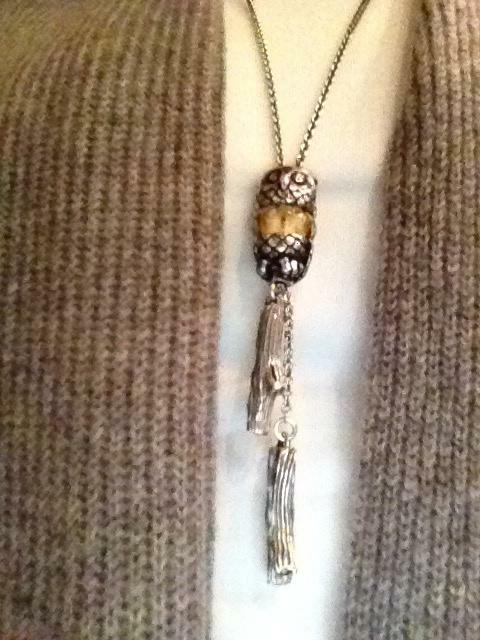 Eventually how beads sit on this necklace doesn't differ much from faery necklaces or fantasy necklaces. The unique part is that this concept allows you to fix beads at various heights to their best advantage in a stylish manner, without stopper beads, clips etc. Small cored beads work best to achieve the fixation/latching. In the picture with Puck, the toadstool is the fixing bead, and anything below and above is balanced because of it. Most of our beads are small core, but small cored glass will do as well. Ohhh how cool is that necklace. I've been away for a week and have to catch up on everything but this necklace on the starting page is already a stunner. Love this design! How much is it without the VAT? Has anyone purchased this that also has the TB night owl--I would love to see them together.....to see if they work well or not. but may be you get an impression.